Beautiful Handmade Fishnet Veil Wool Felt Disc 1920s Flapper Headband Fascinator Life Like Feathers Swirl Ribbon Cocktail Kentucky Derby Church Milinery Cap Hat Elegant luxurious wool fascinator headband head piece witih life like swirl ribbon bow with feathers and100% wool felt disc base with fishnet veil. A show stopper! Great fresh look for any outfit. Feel like royalty in an instant. Comfortable satin headband is not too tight or not too loose. Comfortable fit, satin headband will not pinch your head. 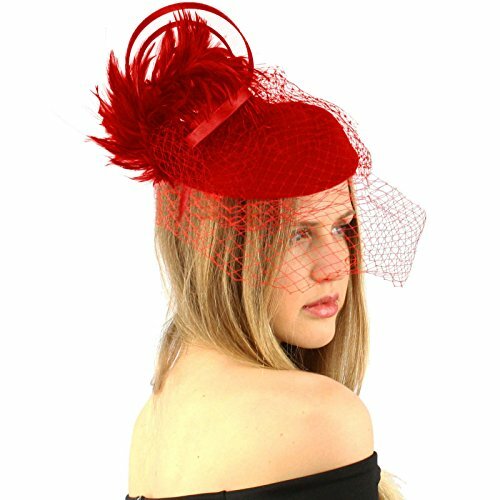 Perfect for everyday wear a fancy event, Kentucky Derby, Grand National, Melbourne Cup weddings, church or religious gatherings. Great for ladies, and teens and girls. Great for multiple seasons. Will compliment any outfit. 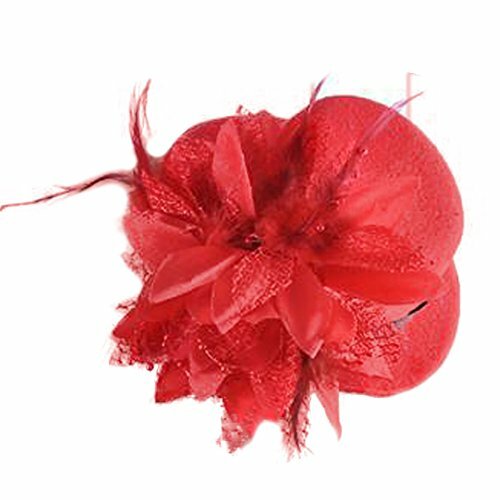 A fascinator is a head piece, a style of millinery. The word originally referred to a fine, lacy head covering akin to a shawl and made from wool or lace, but mostly feathers. 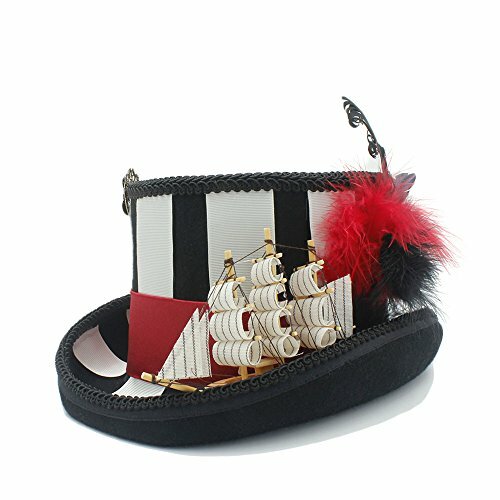 In the modern usage, it refers to a woman's alternative to hat for formal attire; it is usually a large hair decoration on a band or clip with elaborate trimmings and decoration like a formal hat and it can incorporate a base to make it a miniature hat. Fashion now is not just for formal attire but looking & feeling great everyday! 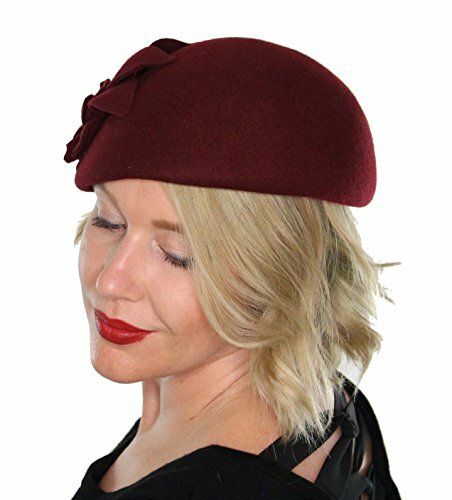 Classic fancy pillbox 100% Wool Felt Soft winter warms soft bucket style hat cap Winter soft luxurious 100% wool felt pillbox bucket style. Classic clean cut basic style. Great comfortable fit. Will keep you warm, perfect for outdoor activities such as skiing, snowboarding, or just looking stylish, ideal for Fall and Winter. GREAT Quality! The Hottest Styles worn by Celebrities for ladies and teens. Pair off with your favorite outfit. Will this be your favorite hat? A must have in all colors. Makes a great gift. Matching scarf also available. The modern woman's pillbox hat was invented by milliners in the 1930s, and gained popularity due to its elegant simplicity. Pillbox hats were made out of wool, among many other materials. Jacqueline Kennedy, First Lady of the United States from 1961 to 1963, was well known for her "signature pillbox hats", designed just for her. 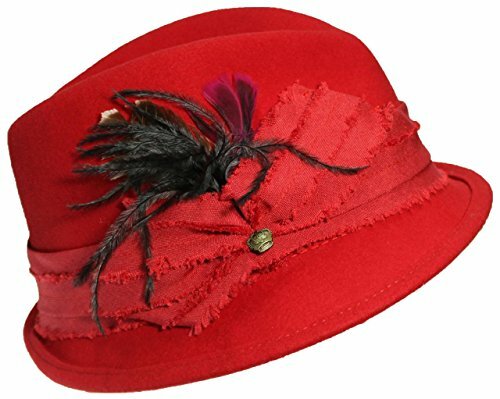 This beautiful hat is the perfect accessory for so many outfits. 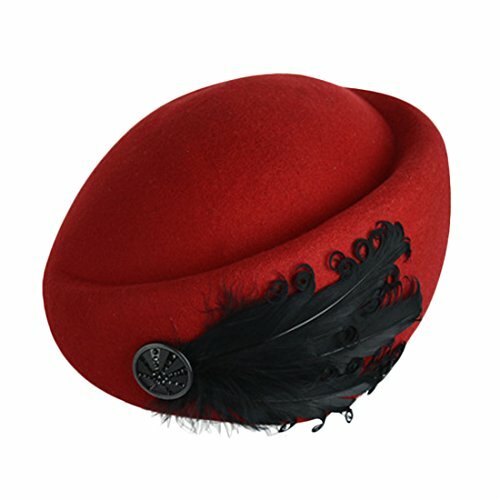 You will love the quality of this hat. It is easy to wear and so pretty. 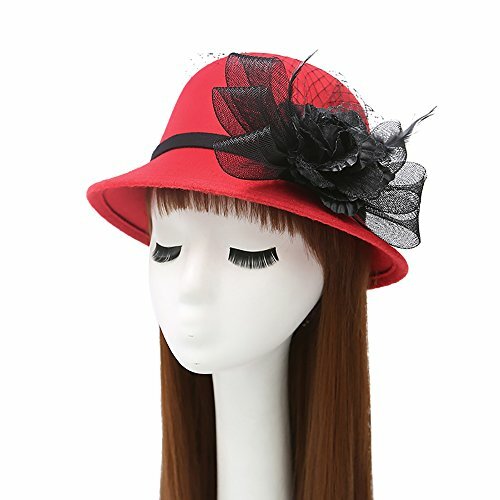 This style of hat is very easy to wear and especially glamorous. Pair it with your best pair of sunglasses and walk around like a star. 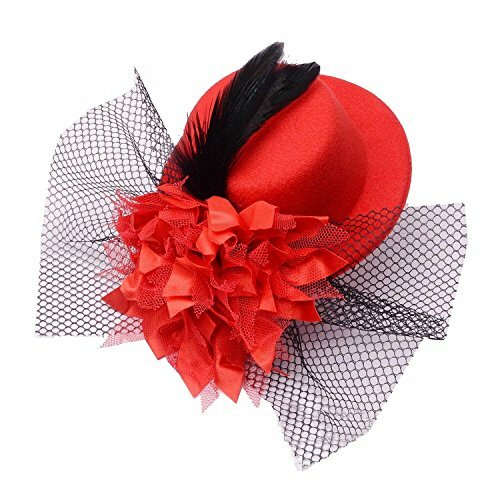 Look Stylish & Protect Your Head From The Sun With This Womens Fedora With Feathers On The Side. Cloth Band With A Bow Knot & A Crown Charm In The Center Of The Knot. Inside Band Has a String To Adjust To Smaller Size. 100% Wool. One Size. Best Fit From 21 1/2"-23" Head Circumference(Hat Size 6 7/8 - 7 1/4). Made in China. DRY CLEAN ONLY!!! Note:Lighting, display and other factors can cause COLOR SHADING, please comprehensive pictures, text descriptions to determineShipping:We Ship to Worldwide, except APO/FPO.Items are shipped from China using Airmail, reach most of the countries within 10 to 20 business days.Delivery time depends on destination and other factors, it may takes up to 20 business days.Other Policies:We are not responsible for any custom duty or import tax.Please contact us if you are not satisfied with the item after receive it.All emails will be answered within 1 business day. If you do not receive our reply, please kindly re-sent your email and we will reply to you as soon as possible. 100% Brand NEW，high quality, if you have any questions please feel free to contact.Note:Lighting, display and other factors can cause COLOR SHADING, please comprehensive pictures, text descriptions to determineShipping:We Ship to Worldwide, except APO/FPO.Items are shipped from China using Airmail, reach most of the countries within 10 to 20 business days.Delivery time depends on destination and other factors, it may takes up to 20 business days.Other Policies:We are not responsible for any custom duty or import tax.Please contact us if you are not satisfied with the item after receive it.All emails will be answered within 1 business day. If you do not receive our reply, please kindly re-sent your email and we will reply to you as soon as possible. Material: Wool Blend Universal size suitable for adult It is a good gift for your lover, family, friend and coworkers Suit for women Head circumference: 58CM/22.83"(One Size) Note: Due to the light and screen difference, the item's color may be slightly different from the pictures. Please understand. Make sure you don't mind before you bid. Please allow 1-3cm differences due to manual measurement. 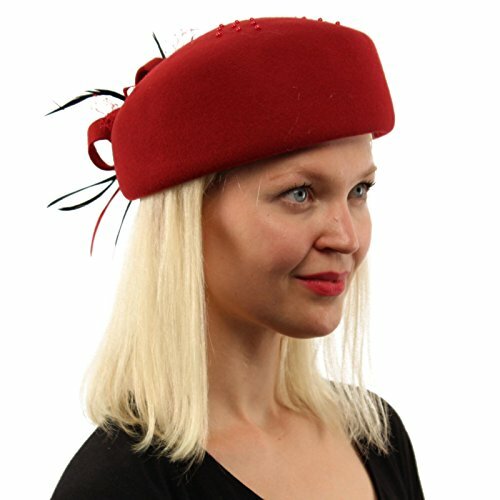 Compare prices on Feather Fancy Red Wool Hat at ShopPlanetUp.com – use promo codes and coupons for best offers and deals. We work hard to get you amazing deals and collect all available offers online and represent it in one place for the customers. Now our visitors can leverage benefits of big brands and heavy discounts available for that day and for famous brands.